(RLNE12589) Townhouse style with patio for 679. No HUD or section 8. This rental is a Bryan apartment located at 1203 Verde Dr. 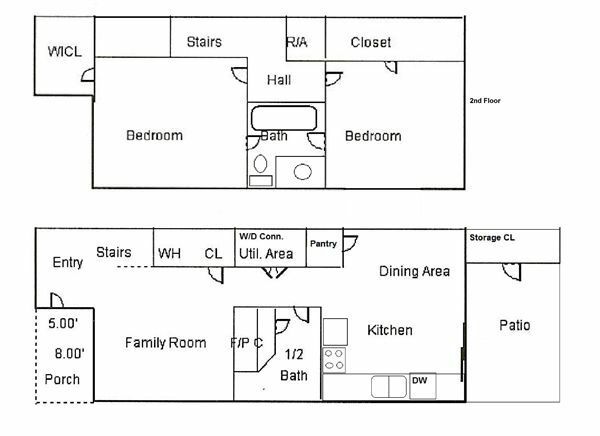 The property features a unit type of 2 bedrooms/1 bathroom with rent starting at $679; the market average is $874. This rental is located near the Country Club Lakes neighborhood just 2.59 miles from the center of Bryan and 2.60 miles from Texas A&M University - College Station. The property has a Walkscore of 31, so you will probably be driving or taking public transportation most of the time. This rental has many shops nearby. Coffee shops in the area include McDonald's, Madden's Casual Gourmet, Starbucks. There are a number of markets in the area include H-E-B Grocery, Dollar General, Brazos Natural Foods. This area of Bryan has many restaurants and bars nearby. Restaurants in the area include Domino's Pizza, Subway, Wienerschnitzel. And there are a number of bars in the area include The Corner Bar and Rooftop Grill on Northgate.